Elaine Hancock (Olney, United States) on 8 December 2015 in Architecture. Your angle gives a very gothic mood! Steeple is still strong. I love old buildings. Abandoned, but it still has lots of charm. 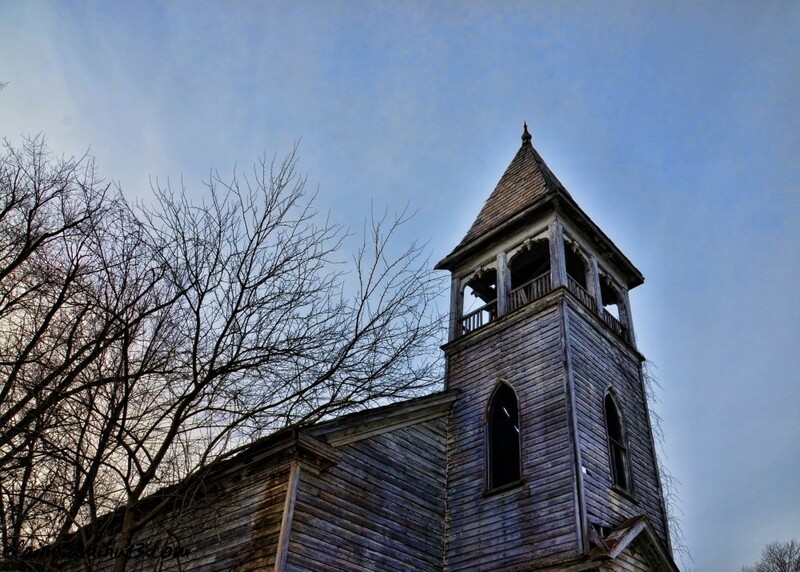 A beautiful detail of the steeple despite the abandonment ... Fabulous shot !! !